Your opportunity to live in DESIRABLE Scripps Ranch is here! This home is pristine with a newly updated kitchen, tasteful complimenting colors, and plenty of natural light. Rare opportunity to have a private fenced in yard backing to the canyon with fabulous views! Enjoy the convenience of having an attached two car garage also offering plenty of storage. Ideal for those hoping to get into this wonderful community with high ranking schools, abundant parks, and convenient shopping close by. 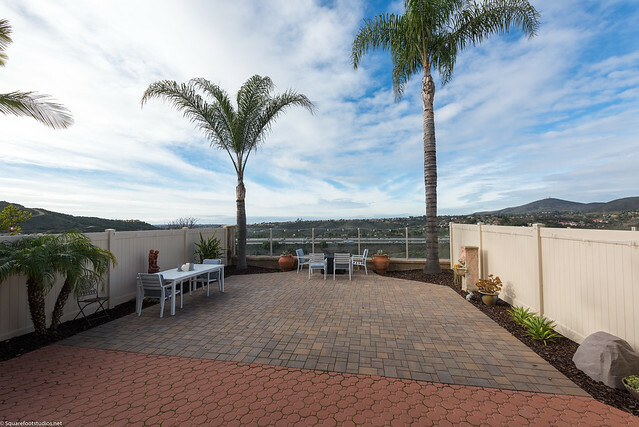 Upon entering you will be drawn to the fabulous view out of your own private yard! Enjoy a glimpse of the ocean on a clear day. The yard is great sized for a townhome and features mature palm trees, clear back fencing, as well as newer vinyl fencing on each side. Gorgeous and well maintained the pride of ownership is apparent. The tasteful decor with abundant windows has this home gleaming! Gorgeous kitchen with pristine white cabinets, quartz countertops, stainless steel appliances, and a 5 burner gas stove! Recessed lighting throughout the home, with a ceiling fan in the living room and master bedroom. The master has a walk-in closet and a decorative barn style door adding privacy for the bathroom. The secondary bedrooms are both upstairs and have mirrored closet doors. There is an attached two car garage that has a utility sink and numerous cabinets and storage racks. This home is conveniently located near many amenities and zoned for some of the best school San Diego Unified has to offer!